Live music transforms an event into an occasion! More than background sound, Holly’s music is a conduit that inspires the free flow of connection and ideas between friends and colleagues, and warmly invites newcomers to be at ease as they are welcomed into the fold. 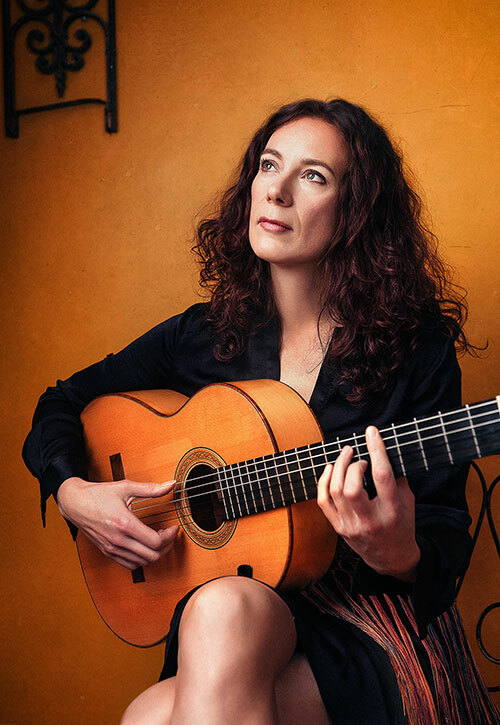 While her music has it’s foundation in flamenco, her use of modern harmonies provides an uplifting atmosphere for a broad audience. For an occasion that calls for music with more presence, Holly has a multitude of colleagues available to assist in creating the desired ambiance, including percussion, song, violin and sax. Flamenco dancers can enliven a celebration with a splash of the extraordinary, or bring an authentic feel to a Spanish-themed event. A portable dance floor is available at no extra charge.